I stood in the hardware section looking at flashlights, when I suddenly felt someone staring at me. I tried to remain inconspicuous as I glanced to my left without turning my head. At the end of the aisle stood a slender, young man at least six feet tall, wearing a red and black plaid, flannel shirt with cut-off sleeves. Lean muscles flexed on his bicep as he grabbed something off the shelf. His bare arms revealed a tattoo on his right shoulder, but I wasn’t close enough to read it. He must’ve felt my gaze on him, because he looked over at me. The sun gently kissed his skin with a golden tan, and his full lips spread into a charming grin. He had a clean-shaven, square jaw and sharp cheekbones that would make any woman envious. His sandy blonde hair flowed like waves and curled softly on the ends, brushing his ears and collar. A few, untamed strands fell in his eyes, making his hair appear disheveled. There was no doubt in my mind he was handsome. Immediately, a heat wave crashed beneath my skin…and I knew it wasn’t due to the summer weather. I blushed under his steady gaze and looked away in an attempt to ignore him. For some reason, I couldn’t control myself. My gaze kept finding his. A smirk played on his lips—the color of a summer peach—and I wondered if they tasted as sweet. 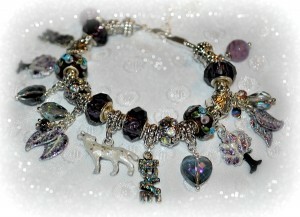 love Werewolves and can’t wait to read your book and that bracelet is so cool looking ! Great storyline of career vs love. Thanks for the book description and giveaway. 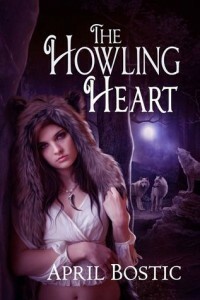 This is a must read for it it sounds amazing I put it on my wishlist a week ago when I first saw a blurb for it . Thanks for the awesome giveaway. I really want to read this book.